So I finally got my hands on the Crosman 2289G ‘Backpacker’ air rifle and decided that I would write up a review for anyone interested. Its a multi-stroke pump, breech loading, removable stock pistol/rifle hybrid air rifle that is low weight, compact, and still capable at the end of the day. 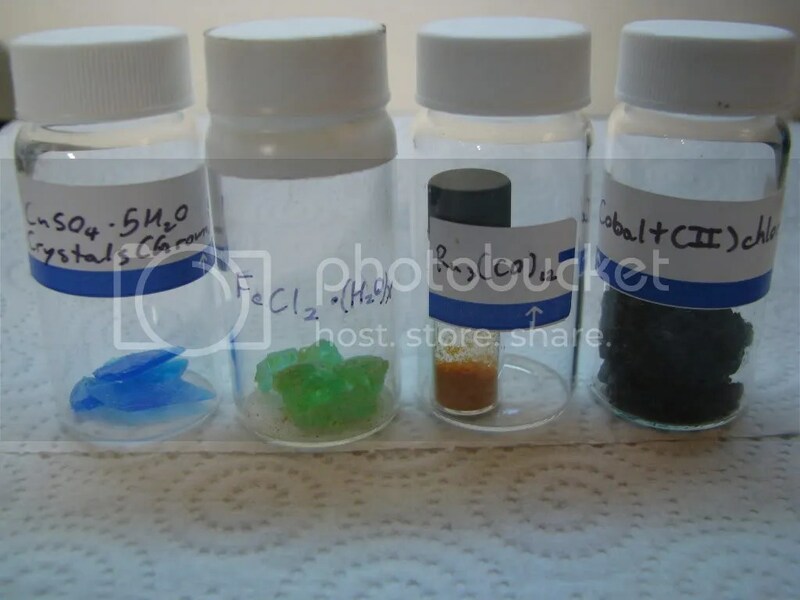 So a simple and try-at-home type of experiment is to take colourful water soluble transition metal salts and try crystal growing. The results are usually either extremely frustrating (a mush of wet crystals) or rewarding (a nicely formed crystal). Crystallization is a process used to purify compounds by rejecting dissimilar compounds from joining the crystal structure, as well as to grow crystals of proteins to determine their 3D shape via other analytical methods; most importantly its a practice in patience. 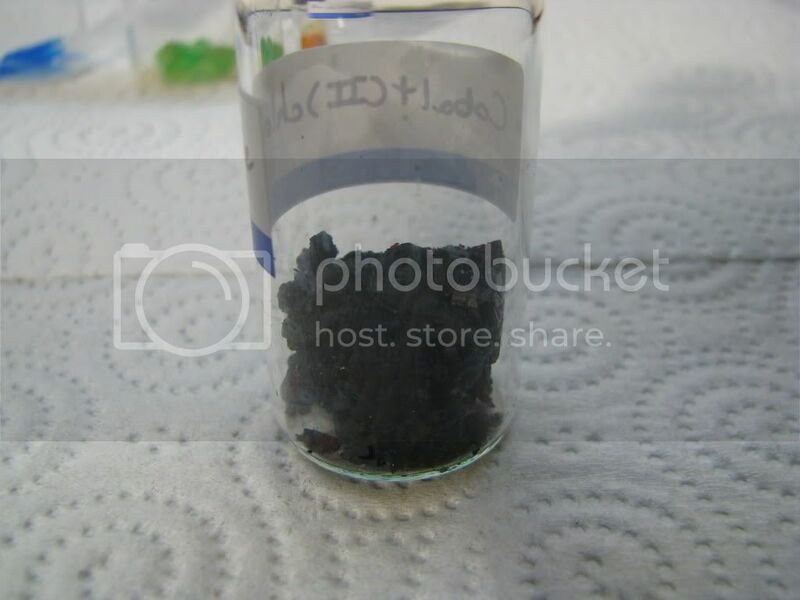 The trick to crystal growing is to saturate the solution and slowly evaporate solvent (water), eventually a imperfection in the container surface or simply enough of the compound aggregates and a crystal structure starts to form. If the solution is saturated and the solvent removal continues, more of the salt will crystallize onto the existing structure, yielding a single crystal. However removing solvent too quickly can yield a large lump of varied crystals. Here are some crystals I’ve grown before: from left to right: CuSO4, FeCl2, and CoCl2. The 3rd vial containing Ru3(CO)12 is just another colourful sample I had on the shelf. A closer shot of the CoCl2, its particularly hard to grow a crystal where the level of chloride can determine CoCl2/CoCl42- equilibrium. I may try recrystallizing this after fully dehydrating this under heat to drive off all excess chloride (this CoCl2 was made from CoCO3 + HCl, thus excess chloride may have been present). Note how dark the crystals are, my camera won’t even pick up the colour – they are actually a deep purple with some thin crystals present that you can actually observe the colour. DIY Syringe Pump Version 3! So after a completely failed iteration of the syringe pump (constant jamming of the syringe plunger, hair pulling, etc) that followed the first pump, I’ve come up with a much more compact syringe pump that fits onto a standard project case. The main difference between this version, and the previous version is the orientation of the mechanisms. The original had the stepper motor behind the plunger, while this version has ‘folded’ in on itself, and has the stepper motor underneath the syringe. 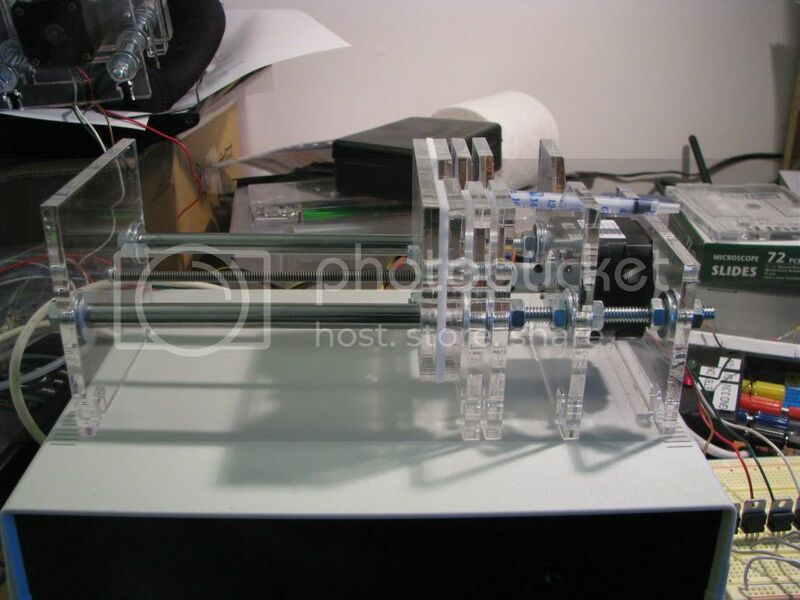 The effect is a compact syringe pump that does not take up the entire desk. 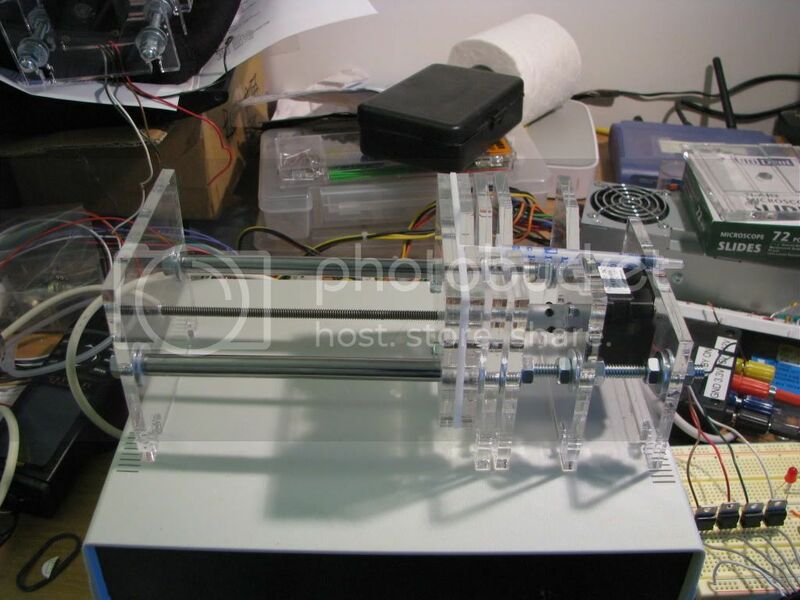 The next step is to bolt the pump assembly down onto the case, design the software for a PIC based controller for standalone operation with optional external control, and actually use this for microfluidic devices.